In an earlier post, First Impressions about the iPad Air, I mentioned that the new iPad comes with several free Apps. 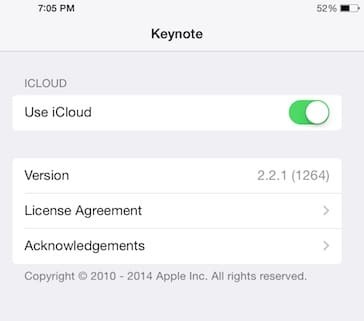 Keynote is one of them. Now, if you own an iPad Air but you cannot find your Keynote App, that is because it did not come installed by default. You can get it for Free by downloading it from the App store. Those who do not have an iPad Air can still get the Keynote App from the App Store for $9.99. 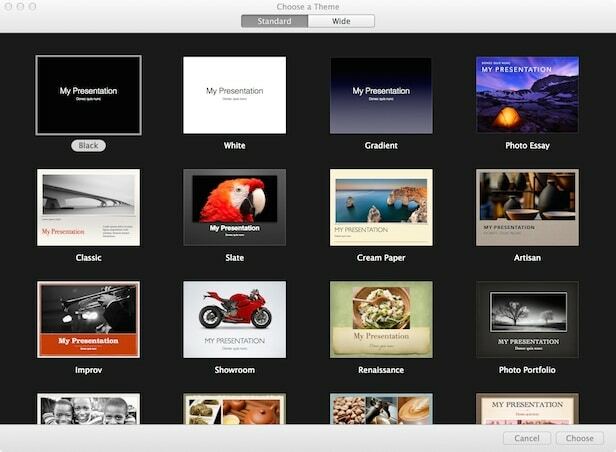 Presentations created on Keynote for iPad can be seen and edited on your Mac and vice-versa. For example you can start working on your Keynote at home and continue updating your presentation while commuting to work or school. 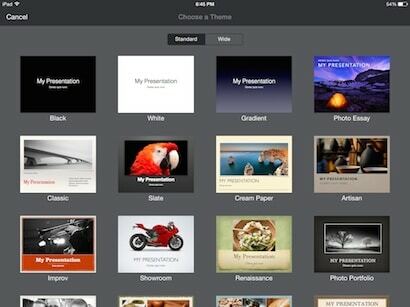 In this article, I will show you the basics on how to use keynote on iPad. When you open the Keynote App, the first screen you see is the Presentation Manager. Using the plus sign on the top left of your screen you can create a presentation. As you may have noticed, the App runs in landscape mode. Every Keynote presentation starts with a template or theme. This theme contains a predetermined set of images, colour scheme, layout and text with a specific font that you can re-use to give your presentation a particular style. In this example, I’m selecting the “Photo Essay” Theme for my demo presentation. After selecting a theme, Keynote displays the edition window with thumbnails on the left column and the current slide on the right. Double tap on the text box to add your desired text. There are 2 plus signs in this view. To add new slides, tap on the plus sign that is located on the bottom left corner of your screen. Depending on the theme you selected initially, you will see different types of slides that you can add. On the top menu, you can use the Undo option to eliminate the latest changes. But what if you want to Redo a change? Well, that is easy. Just tap and hold the “Undo” menu and then you will see the “Redo” option appear. 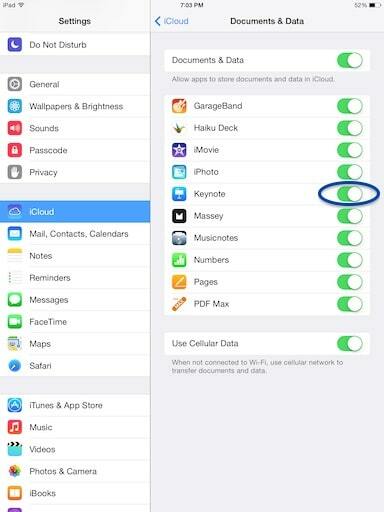 Your Keynote App will automatically store your presentations on the iCloud provided you have an iCloud account, you are logged in and you have the following settings for Keynote. Viewing a Keynote presentation is as simple as tapping on the Play button that is located in the top right corner. 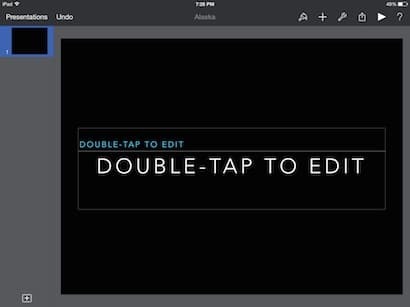 To go through your presentation simply tap or swipe on your iPad screen. Have you tried the Keynote App? Which theme do you like the most? I would love to hear your thoughts! Share with me by posting a comment below.